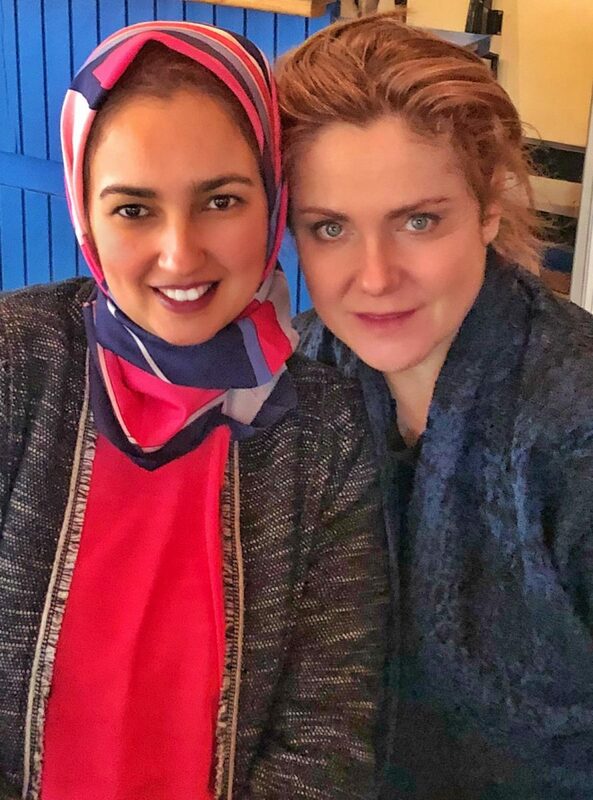 They arrived in Morocco. 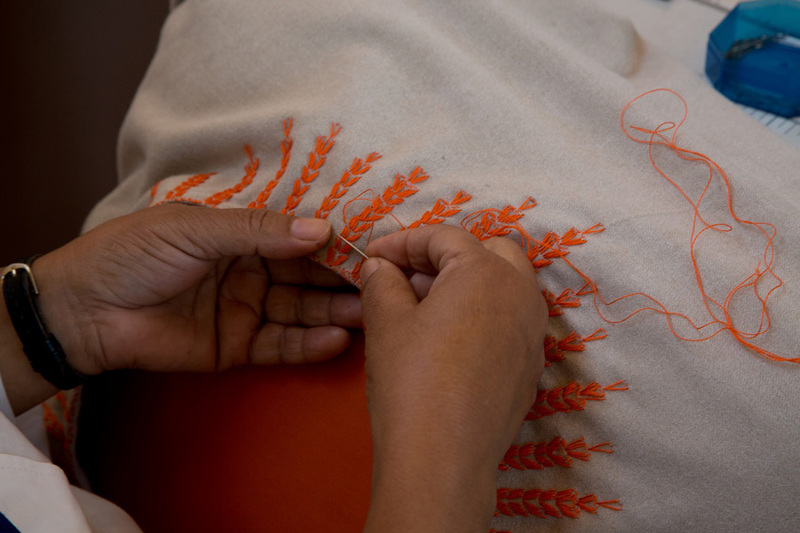 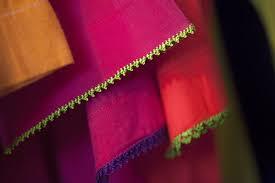 They carried only their hands and a memory, both are custodians of a knowledge as diverse as their origins: the art of embroidery. 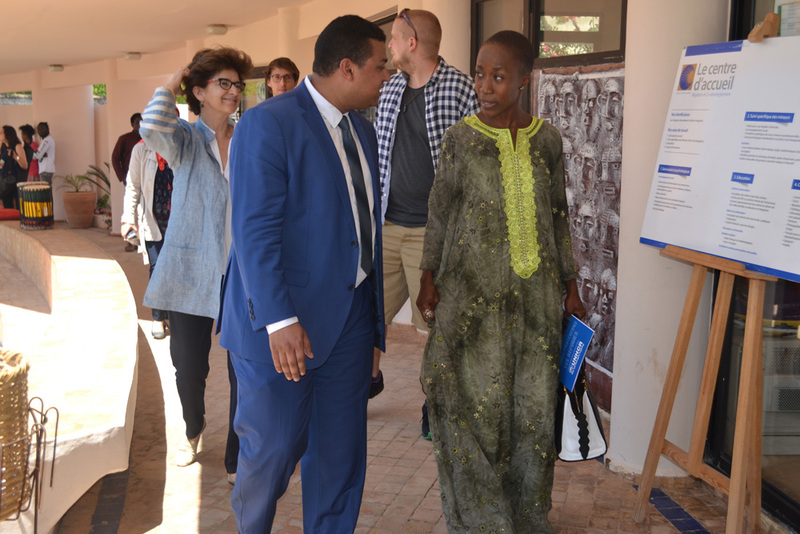 Women integration, employability and empowerment at the Fondation Orient-Occident in Rabat. 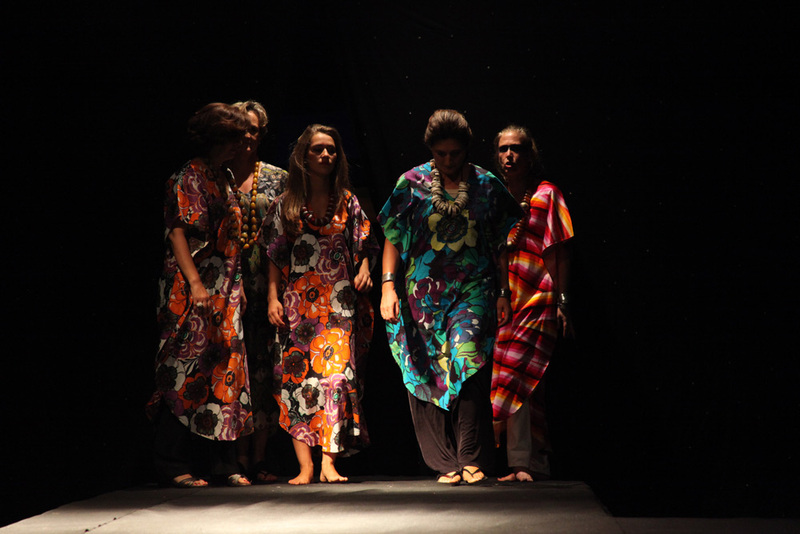 Ever since 1994 the Foundation Orient-Occident has been offering a structure for education, vocational training, entertainment and sharing of experiences for the most underprivileged, with the aim of finding a point of encounter between Western and Easter cultures, as well as promoting intercultural dialogue and integration amongst migrants and Moroccan citizens. 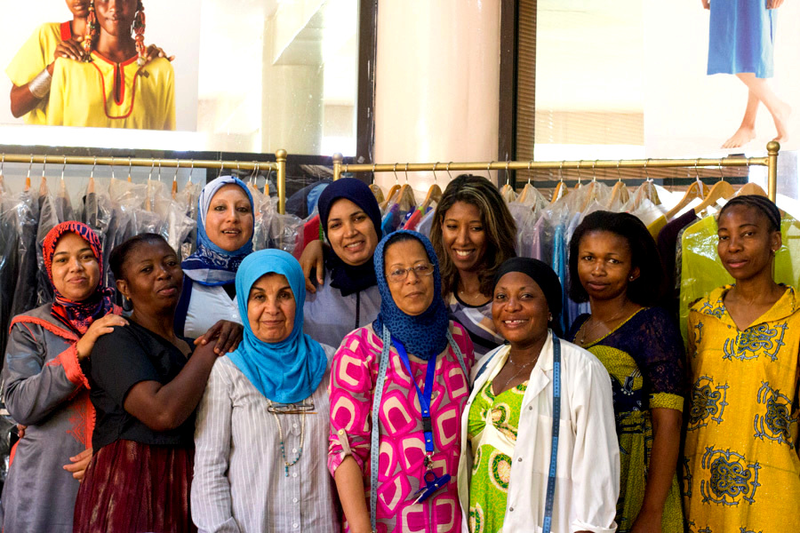 “Migrants du Monde” is the brand name for the garment and embroidery workshop set up since 2010 at the Foundation Orient-Occident of Rabat and consists of one of the Foundation’s main activities aimed at the integration of female migrants and refugees within Moroccan society through a form of “artistic” intercultural dialogue. 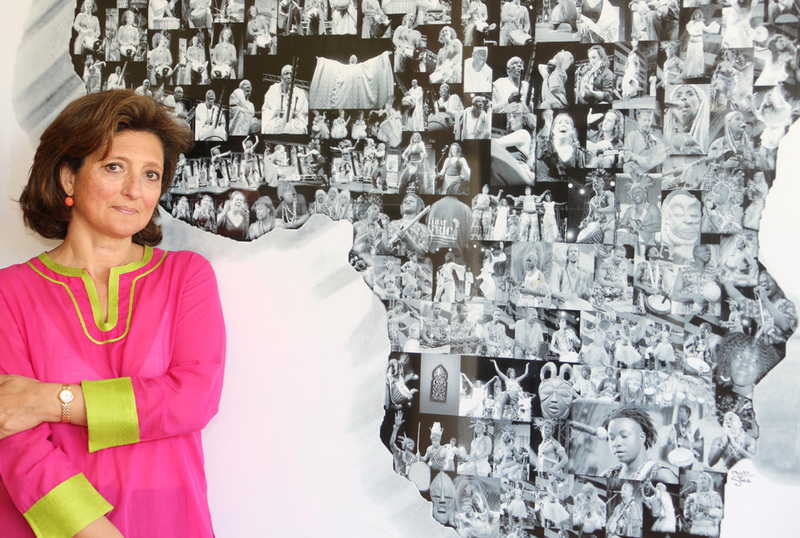 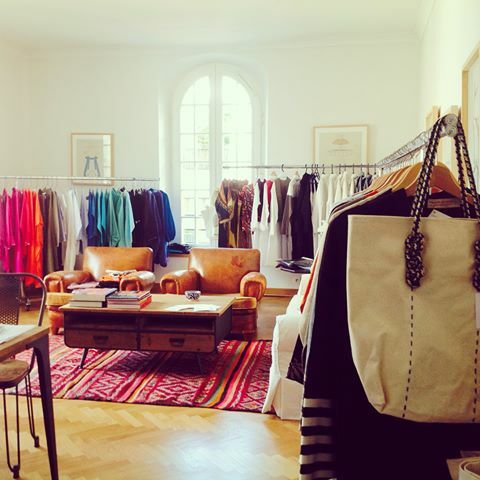 “Migrants du Monde”, supervised by the professional Parisian stylist Isabelle Camard, and recently supported by the Italian designer Bruna Pizzichini, artistic director of the project, was originally uniquely operated by migrants and sub-Saharan, Iraqi and Afghan refugees, but the atelier has nowadays enlarged itself, both in its humanitarian scope and commercial scale, to embrace Moroccan women and local inhabitants of the peripheral district of Yacoub Al Mansour in order to respect the Foundation main vocation: to be a bridge between the multiple cultures that constitute the social fabric of Moroccan society. 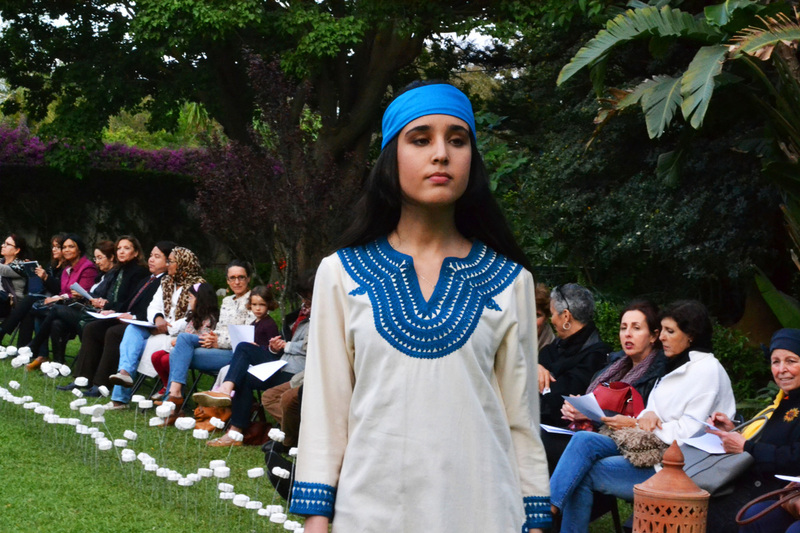 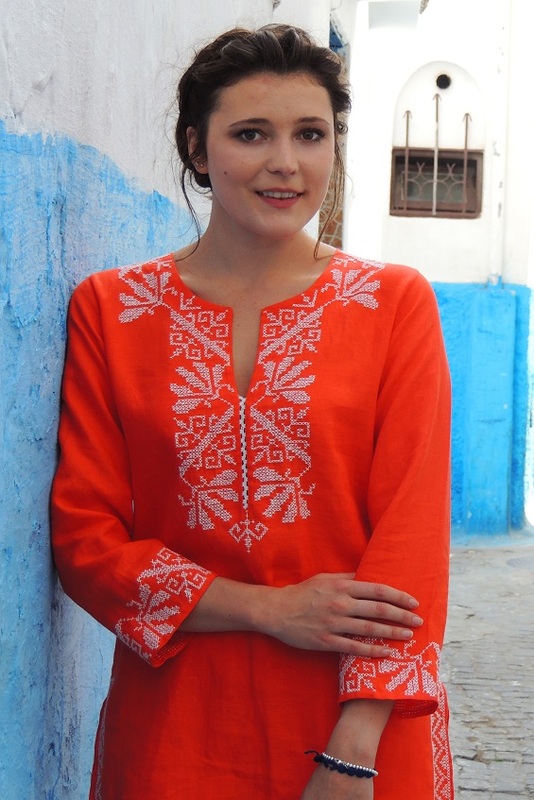 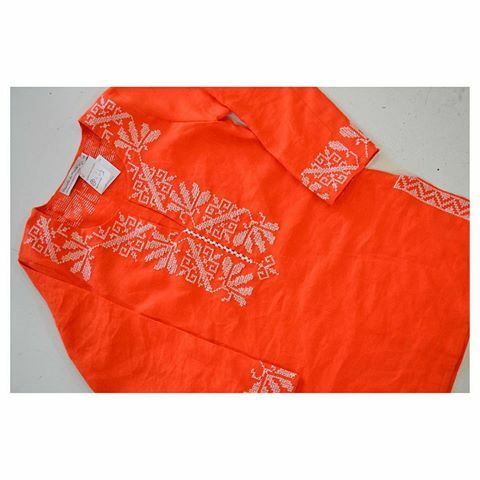 Here, underprivileged women, female migrants and Moroccans have the opportunity to share their knowledge through the realization of culturally traditional garments and to express themselves and their experience through intercultural exchange. 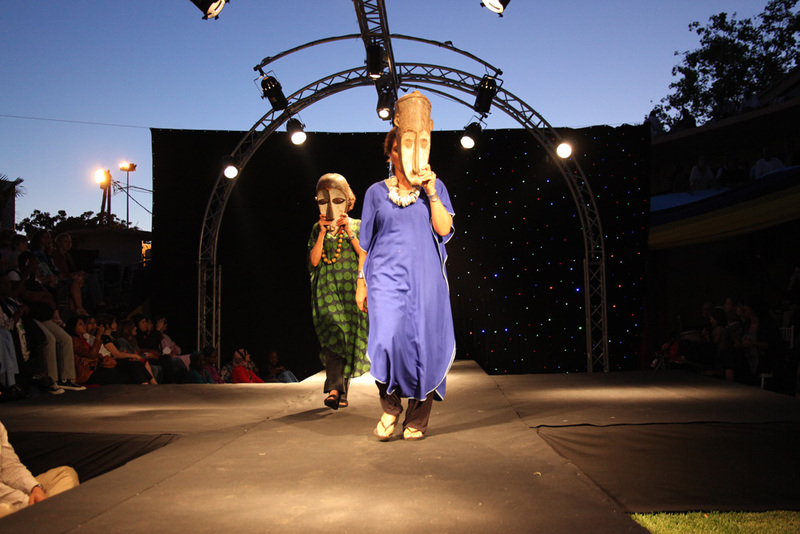 Migrants du Monde is both an artistic and social project; as an artistic project, it provides a space where multiple and diverse cultural traditions blend together whilst concurrently affirming each one separately its own distinctiveness; it is also the tangible expression of cultural métissage, the synthesis of various culturally different knowledge and experiences. 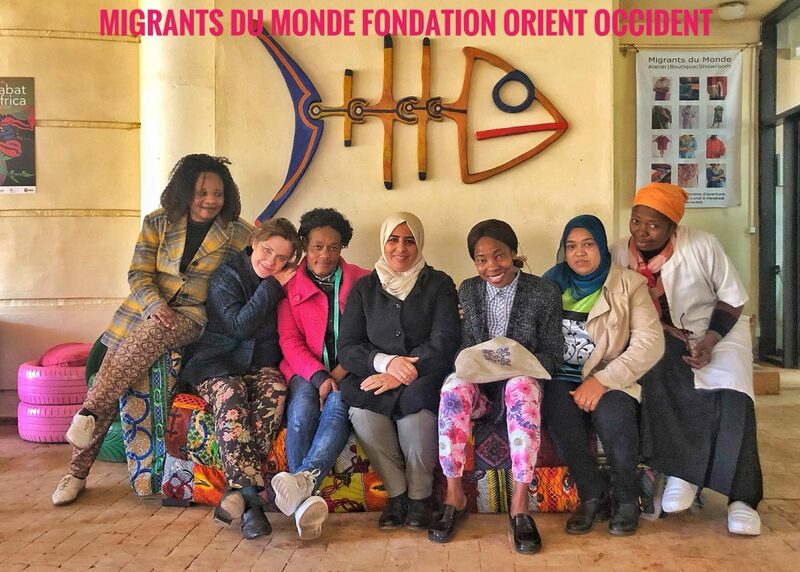 But “Migrants du Monde” is first and above all a social project: if the Foundation Orient-Occident opens up to female migrants and generally underprivileged Moroccan women the opportunity to valorize their own cultural heritage, it also helps them to become independent and to preserve their dignity, otherwise threatened by the harsh experience of dislocation and displacement following migration. 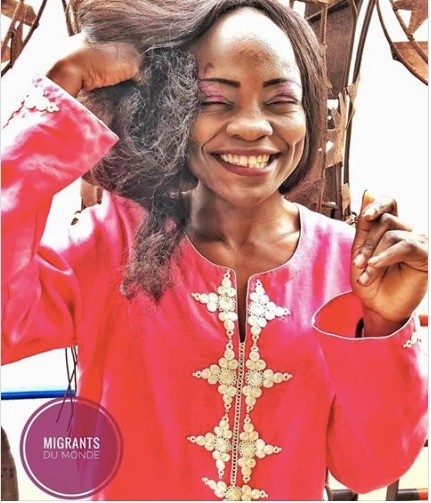 By offering women a job, “Migrants du Monde” is a space and place that encourages them to be creative whilst strengthening social ties and advancing group cohesion. 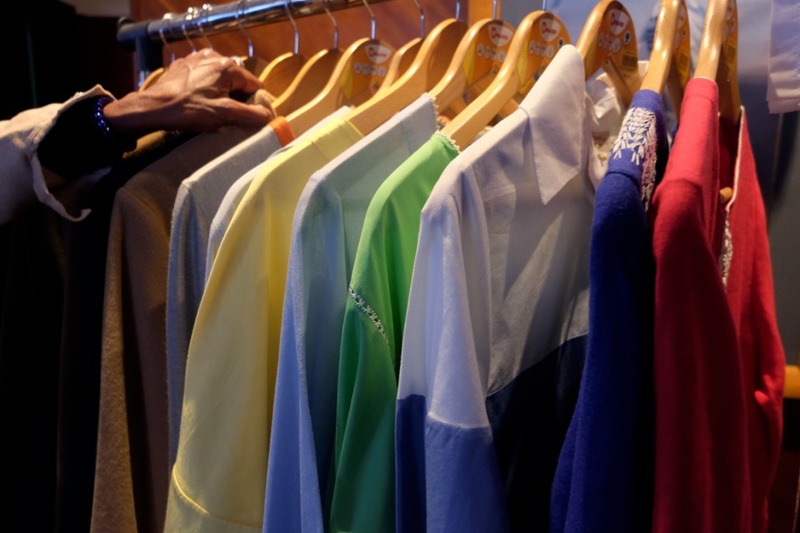 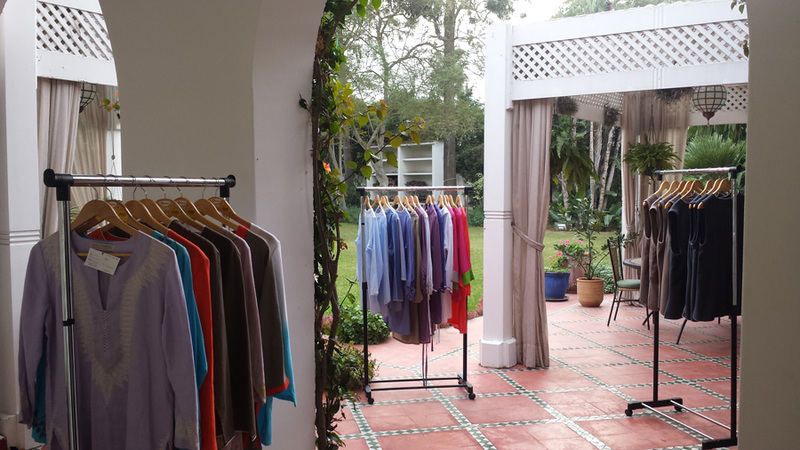 The Atelier has its main shop and showroom in Rabat, and it has sales point across several other cities in Morocco and Europe (for more information on our stores visit the Migrants du Monde website). 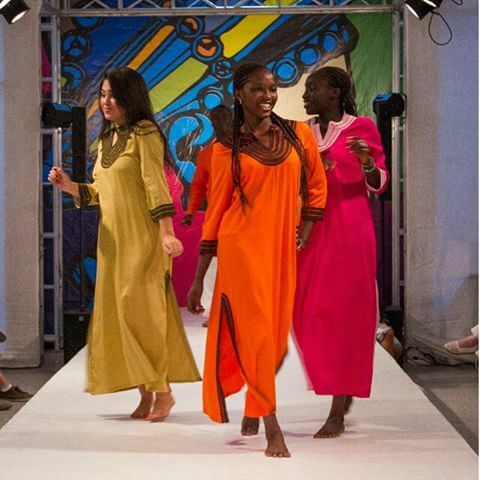 Sales and other demonstrations (fashion shows) have also been organized, among others, in London, New York, Barcelona, Bruxelles, Prague, Madrid, Paris, in Turkey and Lebanon, and in occasion of cultural events such as the Festival Rabat Africa, and international anniversaries such as the World Refugee Day. 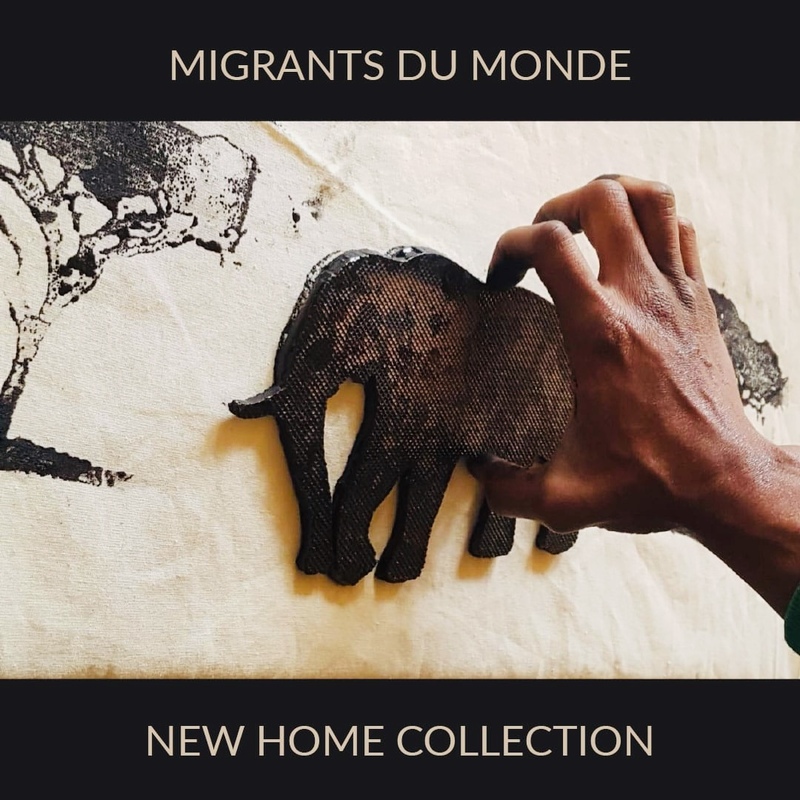 Migrants du Monde has gained international recognition, through prizes and awards won by the Foundation Orient-Occident, and because of the interest of the international media and the press. 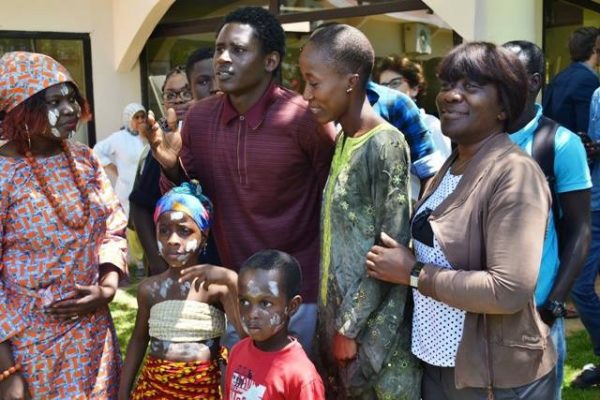 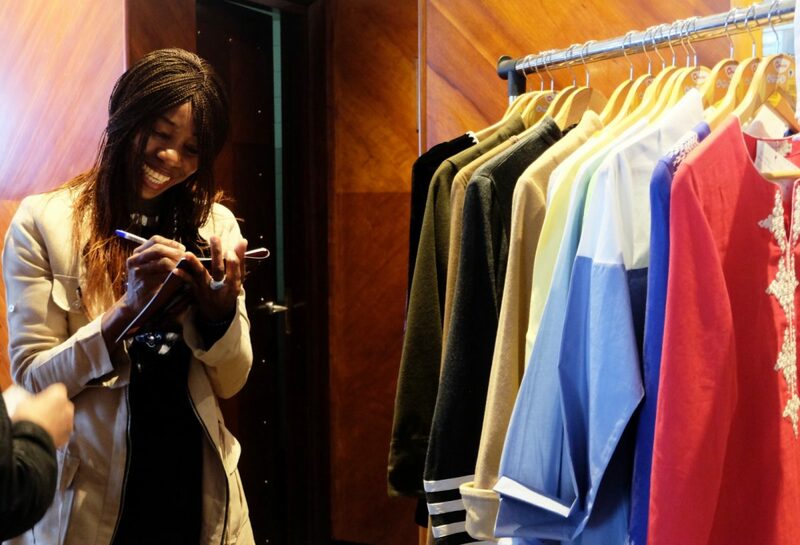 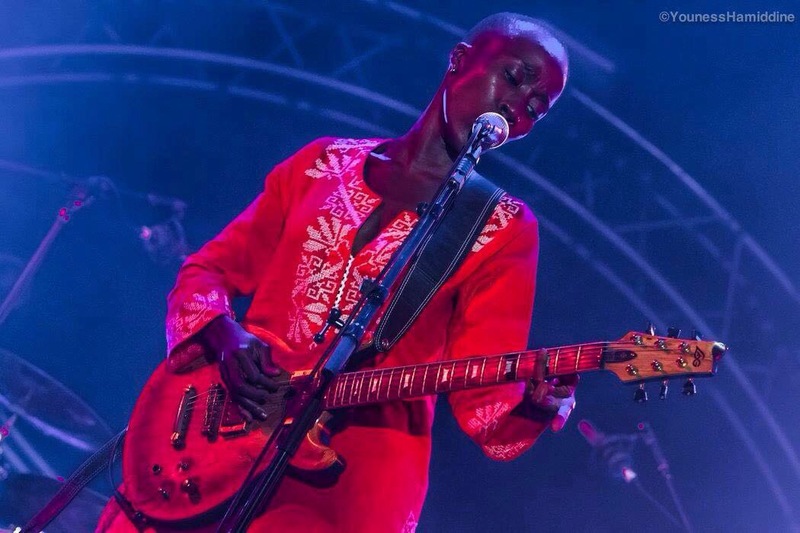 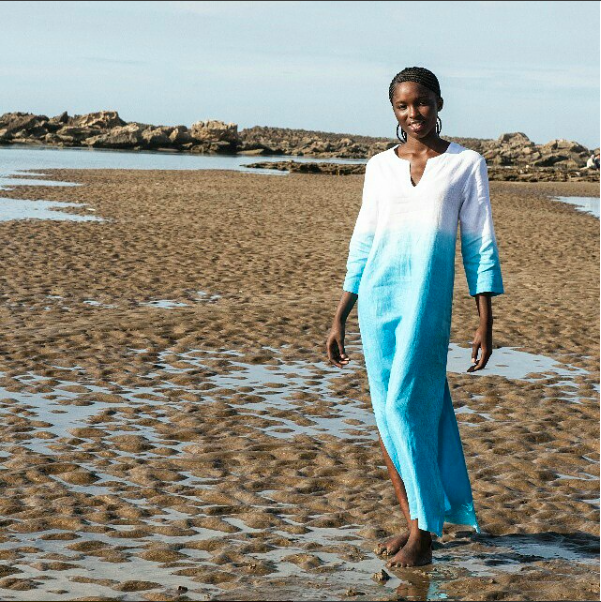 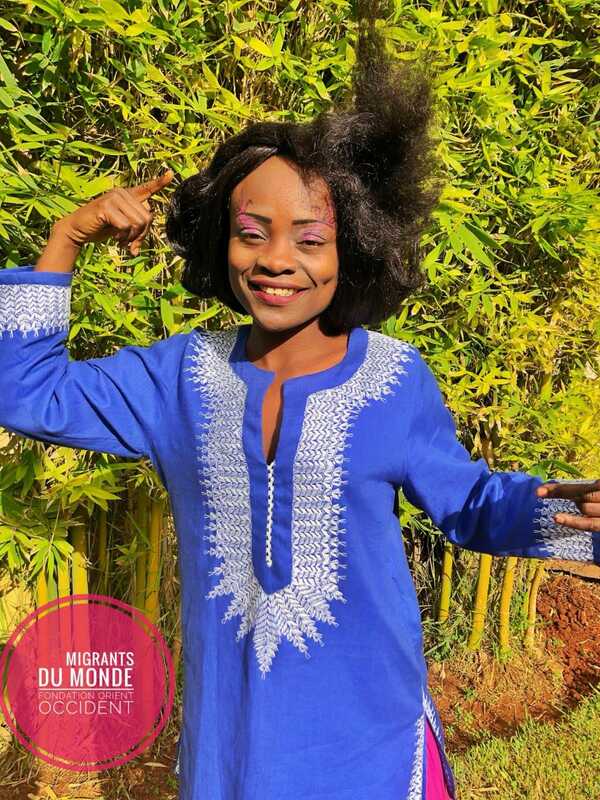 The talented singer from Mali, Rokia Traoré visited the Foundation Orient-Occident and has represented Migrants du Monde, wearing one of the garments during the opening of the Festival Mawazine 2016. 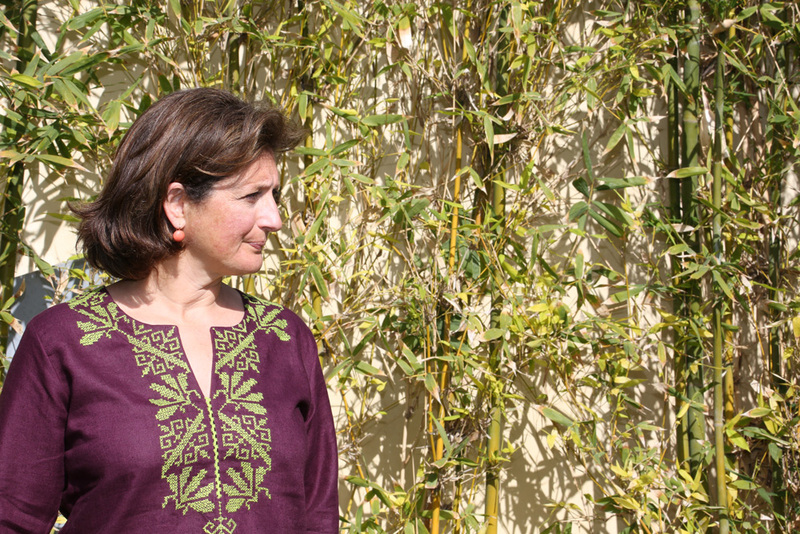 The 3rd of January 2019 the Fondation Orient-Occident has opened a new sewing and embroidery atelier in Italy, in the city of Lecce, following the model of Rabat. 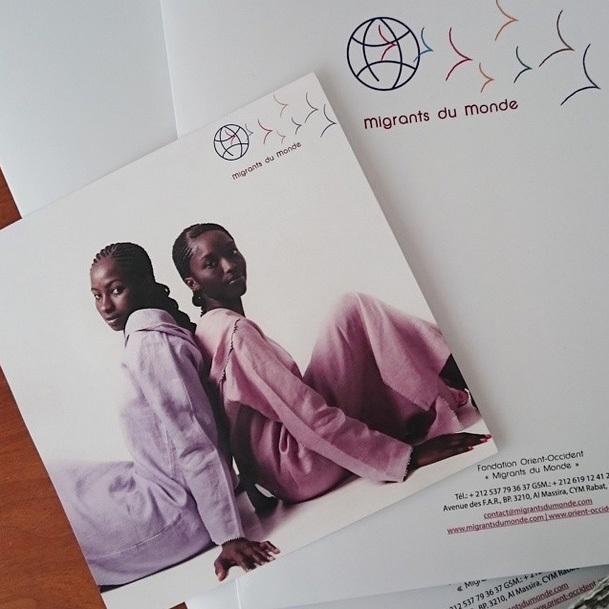 A sales point of Migrants du Monde is also present at the Fiermontina Urban Resort (Lecce).